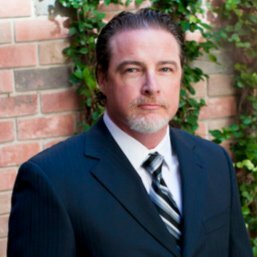 On Point Legal Leads is on a mission to provide our clients with the most efficient and cost-effective attorney lead generation platforms through education-based consultation. We work closely with experienced online marketing experts to provide direct response lead generation strategies that connect your firm with consumers who are pursuing legal representation in your area of practice. Below are 5 high impact personal injury marketing strategies that have proven to generate lawyer leads and convert clients. Get qualified legal leads that covert to clients today. If you want to expand your law firm’s client base, one of the fastest and easiest ways is by getting web submission or live-transfer personal injury leads within your specific demographic and area of practice. Arguably, this is the first step that any law firm should consider. First, it is by far the most inexpensive and efficient first-step to expand your client base outside of web form fill leads. You don’t experiment, you don’t waste your time, and you don’t waste your money. You convert interested consumers into paying clients. Not to mention, when you begin speaking real-time with a steady stream of prospects, you get information that you may not have realized: what is most important to prospective clients in your field when pursuing legal representation. This valuable information can be emphasized in every conversation and every advertising medium you employ, increasing your closing ratios. One of the most popular reasons law firms engaged in personal injury marketing prefer live transfer attorney leads is the high contact and conversion rate. Unlike prospects who complete an online form and require an outbound call – that may be missed or not answered – live transfers practically guarantee the prospect will be available to discuss your services. No more playing phone tag, sending email drip campaigns, one-time auto response text messages, and mailers when trying to reconnect with the prospect. Ultimately, it should go without saying that when considering all the tasks you won’t have to pursue, you’ll be saving a lot of time. And time is money. Another reason that can be overlooked is that live transfers are much warmer and ready to move forward than form filled leads. When prospects are called back, they can change their mind, made a decision to use another firm, or simply become “cold” to the idea of pursuing an attorney for their accident injury case. The benefits of having real-time leads arrive in your inbox or transferred to your office are obvious. Don’t let this opportunity pass you by. Certain practice areas and geographic areas fill up fast, so don’t wait before someone takes the inventory. Contact us today and let us know how we can provide a pipeline of leads to your firm. Did you know that most searches for local business services, like lawyers, doctors, mechanics and others, are done online? That’s why implementing a Local Search Engine Optimization (Local SEO) strategy is key to connecting with prospective clients in your city. This is different from traditional SEO because there are different factors, different criteria, and different techniques that are employed to get your website to the first page, and within the top 3. And that is critical, because studies show that 5% of search inquires don’t get past the first page. So, if your business is employing only traditional SEO techniques for Local SEO, you may never get there. About 80% of all purchases are made locally. That’s why lawyers, doctors, and other professionals implement Local SEO to increase visibility within the city their business is located. Don’t get buried underneath the competition. Let Local SEO succeed by increasing your exposure to consumers searching for legal representation. We’ve partnered with Local SEO experts with many years of experience in online marketing. Together, we use the latest methods and strategies that allow prospects to find your business and convert them into retained clients. We focus on the updated Google My Business “3-Pack,” as well as other platforms and techniques, to generate local leads. 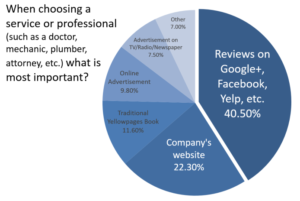 A three-year study about how consumers make decisions regarding professional services found that Review Sites are the #1 most important factor. Consumers have taken testimonials to a whole new level of importance, and nowadays published comments about how customers rate their experience ranks number one. Notably, researchers were aware that there are multiple factors when making a choice. The objective was to uncover the most influential decision-making factor. And the result: Reviews on Google+, Facebook, Yelp, and other review-based sites. This pie chart shows how positive reviews can increase legal lead generation. The fact that Review Sites grew by over 11% year-over-year is significant. It shows that consumers are putting great faith in what others say. But this really isn’t anything new. For decades, marketing studies have shown that testimonials have played a large part in consumer purchasing patterns. Below are more statistics about reviews and testimonials. Nowadays, Review Sites are monetizing testimonials by making them more prominent and accessible, and consumers have responded accordingly. This presents a unique marketing opportunity for those willing to capitalize on it. If you are interested on how your firm can utilize a proprietary testimonial capturing technology that can boost the number and ratings from your customers, contact us today at 972-584-0204. A. So What Does All This Mean? #1. Your law firm can convert more clients by getting positive reviews. #2. If your law firm does not have many reviews, you are losing potential clients. #3. If you are investing in your website, but not your reviews, then it is likely that you are missing out on potential clients. On Point Legal Marketing can help get positive reviews for your website. We refer to technologies that encourages clients to provide online reviews. And, there is a filtering aspect that allows companies to prevent bad reviews from getting published, which could be damaging to your reputation. Contact On Point Legal Marketing today to get a free, no-obligation 5-minute demonstration on how we can increase your reviews, and increase your intake. Press Releases have been among the most powerful and cost-effective methods of attracting clients. We believe every business should consider this compelling advertising method. First, news releases can get top ranking on certain keywords. Often, search engines like Google will put relevant information on the first page, and news directly tied to your service can get solid traffic. That kind of organic online exposure can provide tremendous benefits. When people find your article and read it, they can connect right to your website, or simply contact you from the information within the article. It’s like honey for bees. Second, press releases provide off-page link building to your website. This is because news outlets, including the one that originally publishes and disseminates your news, puts your article on their website. The activity from the collective group of news publishers casts a wide net of links back to your site. And the result is two-fold: there are more places for people to locate your business, and valuable SEO points are collected for higher rankings. 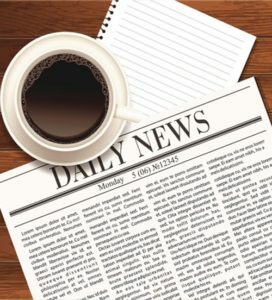 Use the news for increasing legal lead generation. We have been writing and publishing press releases for years. Let us show you how to get results with top publishers and content converting news. Generating leads is one of the primary objectives of B2B companies. And when doing so online, a contact form where prospects input their details is a must. Yet, have you ever landed on a site, had a question, and didn’t know how to contact the business with your question? Nothing else tells a prospect that your door is closed for business than hidden contact forms. Make your main contact form standout. Successful online businesses make their company look like the door is always open, and have a big welcome mat for everyone to ask a question via well-placed contact forms. After publishing countless advertising pieces and learning extensively about page layout techniques, the most important place to put a contact form is in the upper right hand area of your website. In fact, we’ve witnessed a measurable rise in conversions when placing a contact form in that strategic location. Further, websites should have short contact forms throughout other folds of the website. This comes across like your business is an open house, and all are welcome to ask questions even on a whim. Ultimately, studies have shown that having different contact forms and presenting multiple opportunities to converse and interact with visitors generates a quantifiable increase in leads. Below are some strategies to consider when building contact forms for personal injury marketing. The number of filters or questions in your contact form has a significant effect on your conversions. Marketers need to keep in mind that as much as they want to obtain data about the prospect, the more data requested correlates with less conversions. Simply put, visitors do not want to divulge too much personal information or spend much time. A study by Hubspot demonstrated that decreasing the numbers of questions from four to three dramatically increases conversions by 50%. 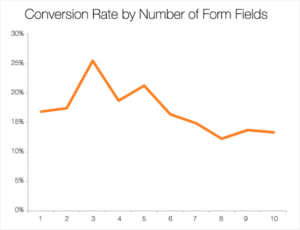 Legal lead generation increases with less fields. Notably, ImageScape increased conversions by 120% after lowering input fields from eleven to four. According to Neil Patel, Everything we do on a landing page is to increase engagement and to get the right people to trust us. According to the Nielson Norman Group, when ads are placed below the fold there is a significant decrease of 102% less views. Similarly, according to a 2014 study, ads placed below the fold were viewed 66% less frequently compared to when above the fold. When your using a call-to-action on a sidebar you will want to place above the fold too. The only exception to these findings is from Crazy Egg, which showed that when there are important details required for the prospect to convert the form is best below the fold. In such a situation, a below-the-fold form generated a 20% increase in conversions. Understanding what questions you can ask that are required and provide impactful information can also make or break the success of your contact form. Naturally, the three most important pieces of information gathered typically is name, email address, and phone. According to a report from MarketingSherpa, the most important field across industry sectors is the visitor’s email address. This makes sense because visitors are online when submitting information, and email addresses allow for easy remarketing. On the other hand, studies also show that asking for a visitor’s phone number likely will decrease conversions. In fact, Chris Hoffman, Director of Marketing at The University of Wisconsin, conducted research showing phone number requests dropped conversions by a staggering 52%. Nonetheless, you can still see success when pursuing a phone number. MECLABS conducted a test and placed the phone number field on the second step of the contact form, which resulted in a 68% increase in conversions.